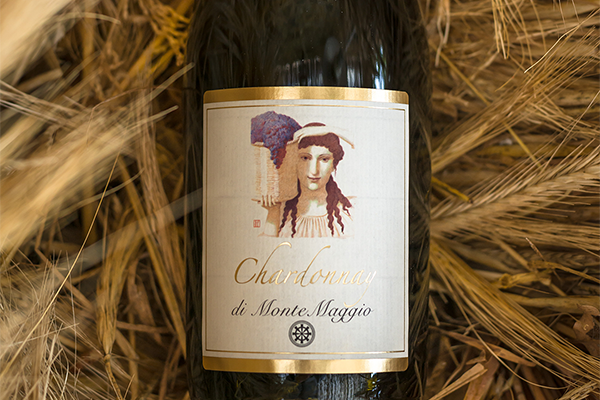 Chardonnay di Montemaggio IGT is a white Tuscan wine that was made for the first time in 2010. A white wine, morbid and balanced, with a straw-like yellow colour with reflections of gold. 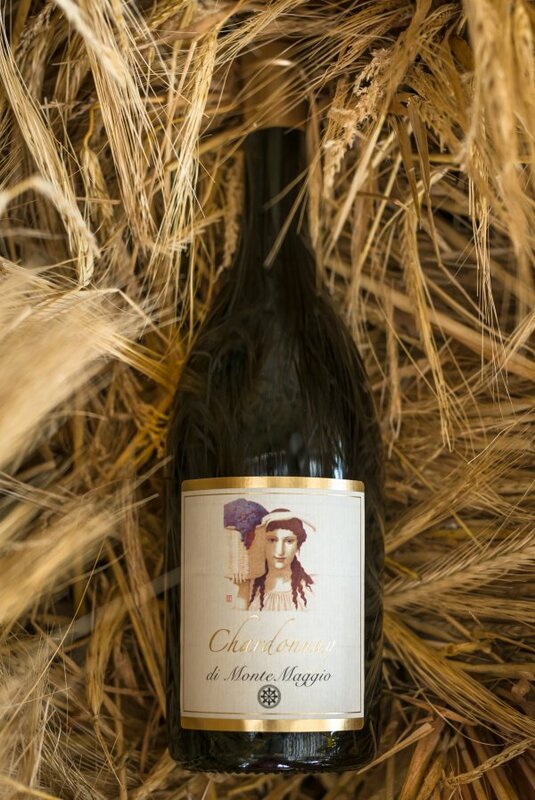 Its fresh flavour with notes of tropical fruits, flowers, straw, honey and spices is very pleasant for the palate. Colour: Straw- like yellow with reflections of gold. 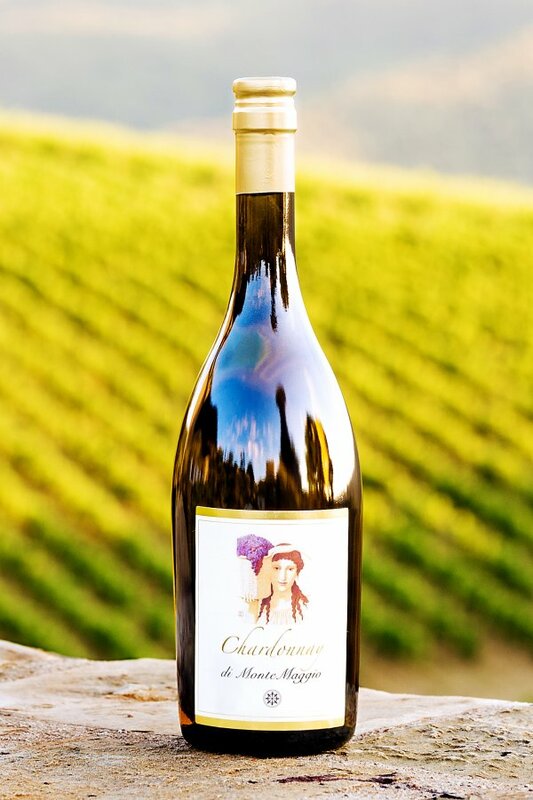 Nose: Aromas of tropical fruits and flowers, note of butter and honey. Palate: morbid, buttery, balanced by a good acidity. Ideal serving temperature: 8°-10° C.
Matching: This wine is ideal as an aperitif, particularly indicated for accompanying first courses, white meat, fresh cheeses and fish-based courses. Before the fermentation, grapes are manually selected in boxes and screened on the table usually at the end of August. Furthermore, grapes is delicately stemmed and softly pressed. The must obtained is clarified in stainless steel through decanting at controlled temperatures for a day. The must, subsequently, ferments at controlled temperatures in tonneaux or barrique. When the fermentation is completed, the wine is left with the yeasts for some days then decanted and put back in tonneaux until bottling in May. After about 8 months in the wood, the wine is bottled and released to the market (after 3 months). It is bottled with transparent glass corks to preserve its authentic taste and prevent the risk of deterioration. It is a very functional cork as it can be used for a long time.